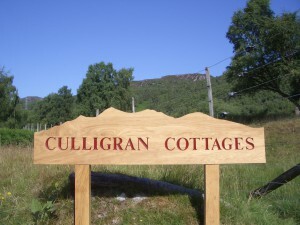 The Chalets and Cottage are one mile from Struy, at the eastern end of Glen Strathfarrar and half a mile beyond the locked gate at the entrance to the glen. A gate key is provided along with the respective chalet or cottage key, on arrival at the gatekeeper’s house. Head north on the A9, over the Kessock Bridge and onto the Black Isle (not an island). At the Tore roundabout, turn left for Beauly on A832 and follow signs to Beauly, turning left a couple of times. Straight through Beauly, then approx one mile beyond, turn right onto A831 for Cannich/Struy etc. 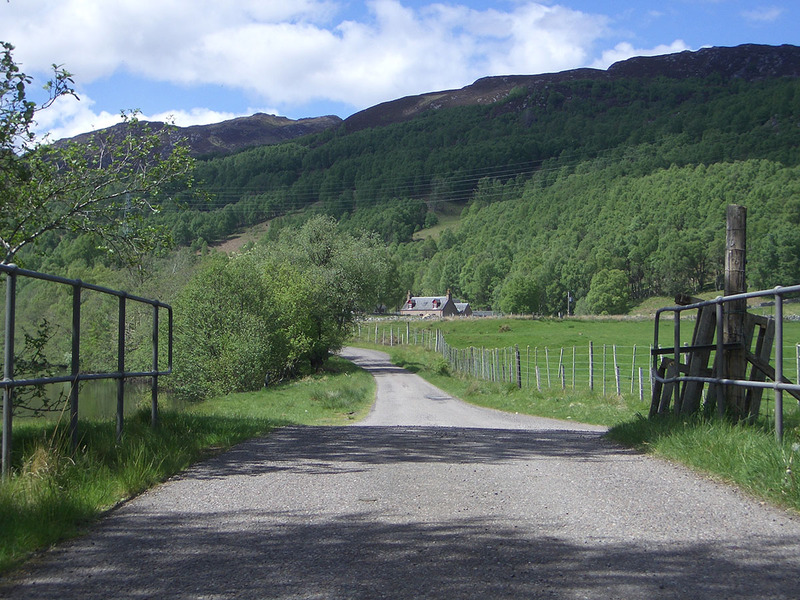 Continue for 9 miles and then about 300 yds after the Cnoc Hotel fork right (Glen Strathfarrar). After half a mile, stop at the locked gate for access and key collection. Culligran Cottages are half a mile beyond the gate.